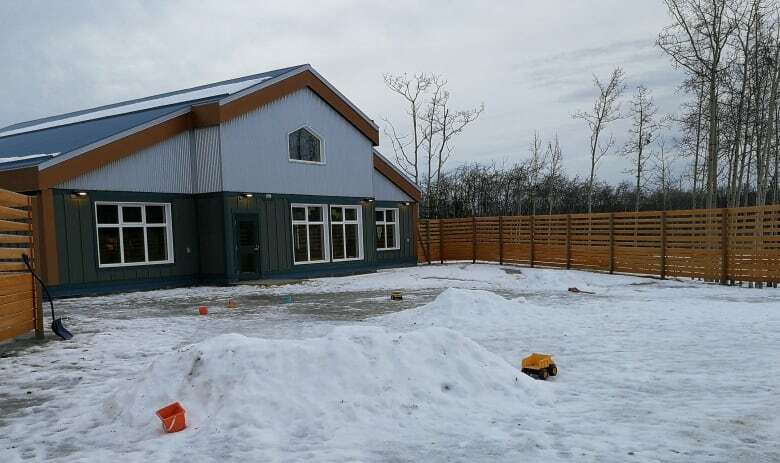 The Champagne and Aishihik First Nations hope a new language program will have citizens learning Southern Tutchone as a mother tongue. The Champagne and Aishihik First Nations has a long-term vision: to have citizens born and raised with Southern Tutchone as their mother tongue, and have people so fluent in it that it will no longer have to be taught in Yukon schools. Stephen Reid, who goes by his traditional name Khasha, says he envisions this happening in 15 years. He's a language teacher in Haines Junction, Yukon, who's creating a curriculum for an adult immersive Southern Tutchone language program. "We've never been in this position before ... to have to teach our people their own language," says Khasha. Khasha taught Southern Tutchone for 13 years at Elijah Smith School in Whitehorse. This spring, he was at a language conference at the Kwanlin Dün Cultural Centre where Steve Smith, the chief of Champagne and Aishihik, was present. Khasha said he hastily wrote a proposal to Smith on the back of a napkin. "I had this idea to go to Kahnawà:ke myself, so I put this little proposal together … it wasn't anything pretty." Kahnawà:ke is a Mohawk community south of Montreal that's been running a successful immersive language program since 1988. Khasha wanted to go there to learn about the program. Smith recalls the interaction. 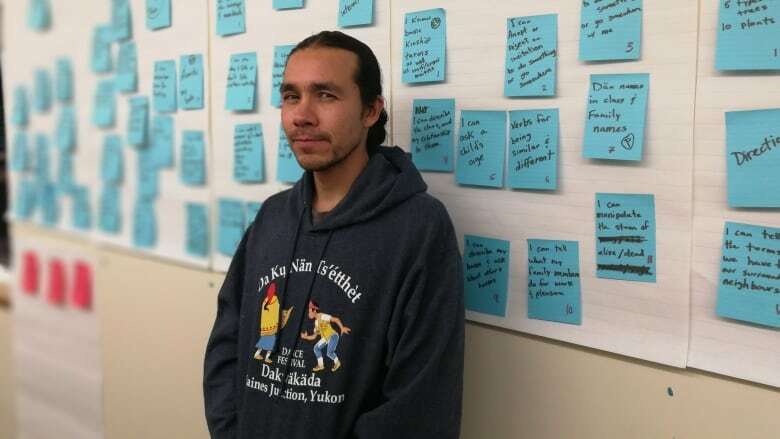 He says Khasha told him that the First Nation wasn't going to build any speakers, until young adults start preserving and passing on the language. "We at Champagne Aishihik Chief and Council really did seize Khasha's vision," says Smith. Khasha said he expected it to take time, but he says he got an immediate response from the chief: "You're not going to go alone, we're all going to go." As a result, there's a working body of Champagne and Aishihik citizens who share the vision. 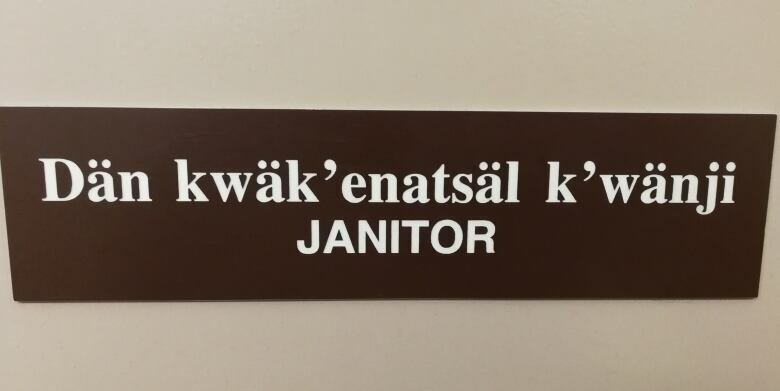 The First Nation opened Dákwänjē Kų̀ — or 'our language house' — in November. It's a daycare for the community of Haines Junction. Teachers are currently putting together a Southern Tutchone program for the children. The two-year adult immersion program has room for 10 students. It will start in the fall of 2018, also in the Dákwänjē Kų̀ building. Classes will run from 8:30 a.m. to 3:00 p.m., Monday to Friday, following the school calendar. Smith says he wants to see four year olds speaking the language and hear people at grocery stores chatting in Southern Tutchone. He also wants to see the community's public meetings and ceremonies conducted in Southern Tutchone. To Smith, language is the missing piece. Once they bring it back, he says his people will be able to shake off the final vestiges of colonialism — "and really be able to bring us back to the proud and strong people that we are," he says. Along with Khasha, the First Nation has brought in another Southern Tutchone teacher. Smith says he wants non-First Nations peoples to feel as welcome in Da Kų̀ and Dákwänjē Kų̀ as they do in the curling rink or Elijah Smith convention centre. With their long term vision to have the cultural centre be a place where their culture and language will be preserved, elders can rest a little easier, says Smith. For Khasha, it's a big responsibility to know that what he chooses to teach is shaping students, giving them a sense of culture, and how to raise their children. "Our people will be coming in with their varied backgrounds," he says, "but we have to treat them just like a baby, and we have to raise them up."